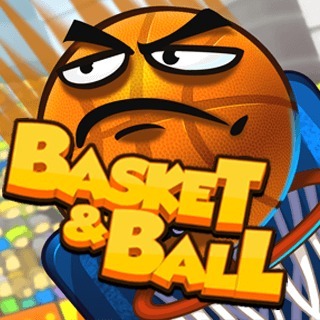 Play Basket & Ball and more Sports Games on Games1.com! Let's play Basketball! Test your throwing skills and solve physics puzzles every 3 levels. Use time stopping bonus, avoid spikes, traps and the robotic police. Convert yourself to stone or pump yourself up to jump higher, change gravity to reach impossible spots, dive into water and propel yourself with explosions on 50 entertaining levels. Compete with your friends on leaderboards in the star collecting challenge and become the king of basketball!